This popular three-day track is set in some of Fiordland National Park's most spectacular scenery. It is portrayed on a fully-detailed topographic background, which does justice to the environment. 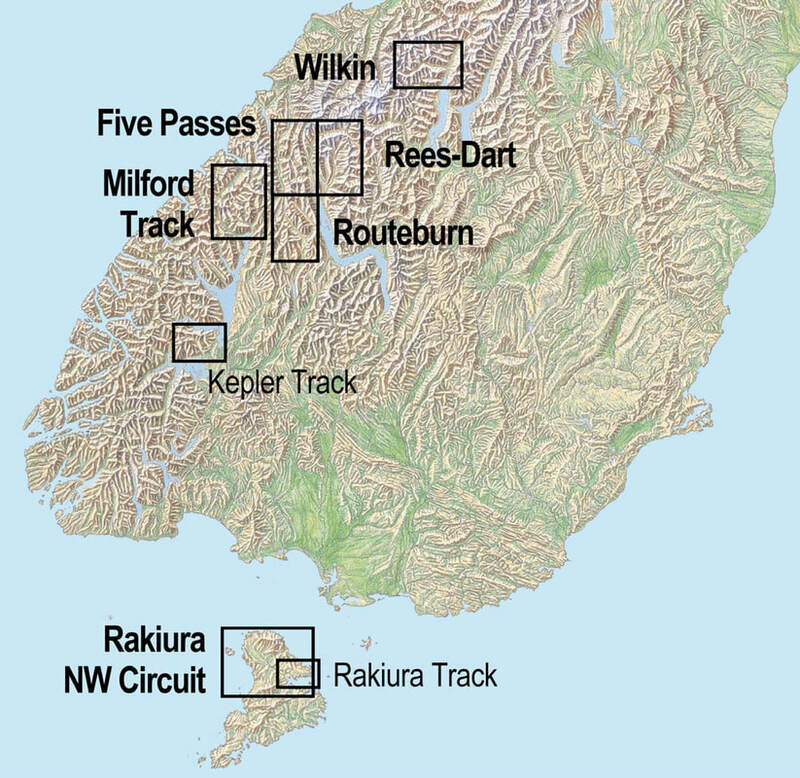 The few road access points near Te Anau are shown. A combination of contours and relief shading gives a realistic landform.